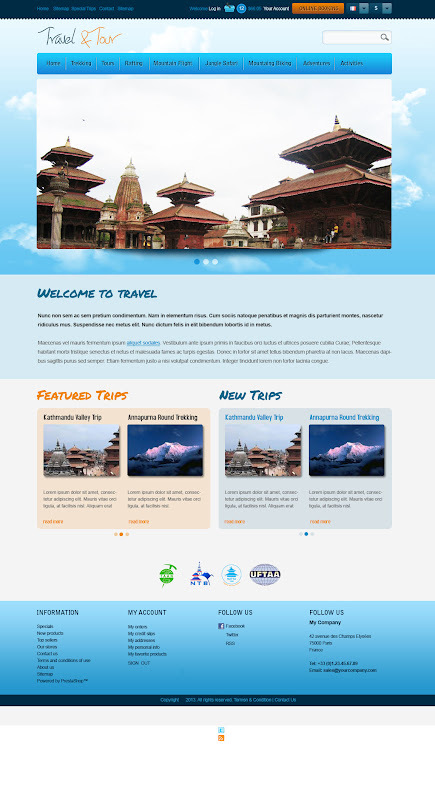 Travel and Tour Web Template is in blue color theme with single column in home page and two column on next pages. 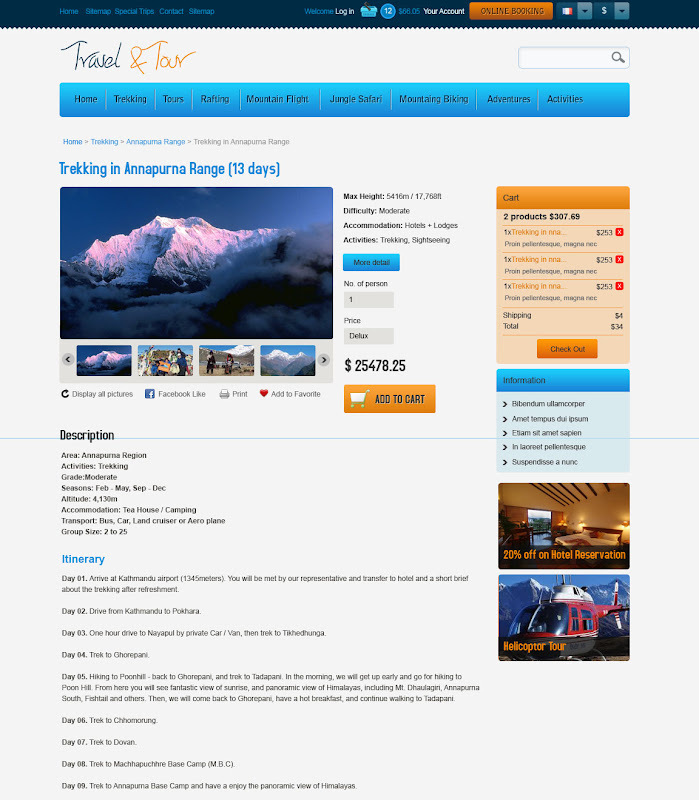 In the home page we have included featured and latest tour packages. 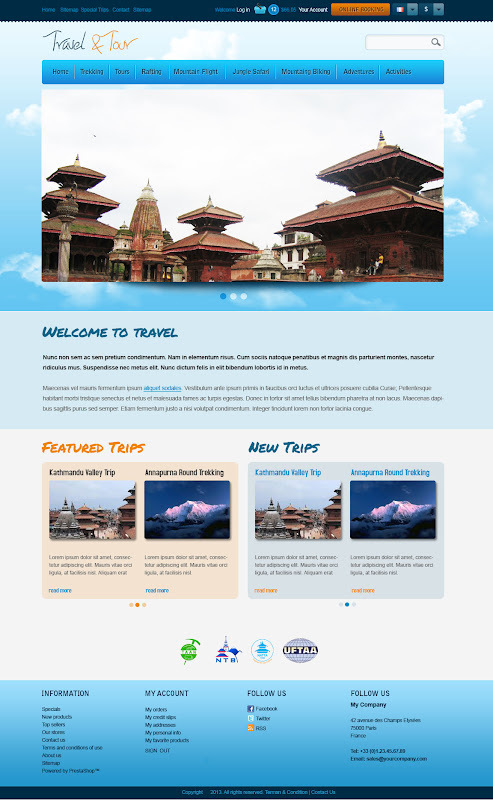 In product detail page we have included itenary with google map.